By making some changes to your paddock management, to include improving soil microbiology and humus levels, you may be able to reduce the level of parasites on your farm while at the same time improving livestock health. Current farming practices rely on the use of costly chemical anthelmintics to control parasites whereas a combined sustainable approach could be adopted to be mutually beneficial in terms of cost and overall livestock health. A landscape architect will be able to help you design in elements that not only provide aesthetic features like trees, hedges and multi-specied pastures, but also provide valuable land management tips. Anthelmintics are chemical agents that expel or destroy intestinal worms in stock. As farming becomes more intensive and chemically dependent, animal health is being affected by an ever increasing use of chemicals. Of concern is that the repeated use of manufactured anthelmintics may be responsible for an increase in parasite resistance. This has led to investigating a more sustainable and holistic approach. Overstocking your land and keeping stock in one area for extended periods of time which means livestock will be re-infected by grazing on egg-infested land. Mono-grazing of only one type animal species on a given area. Sheep and horses tend to graze low whereas cattle leave the pasture with a higher foliage mantle. Worm eggs on pasture can be ingested by other species without infecting them which helps control egg numbers. The overuse of artificial fertilisers, anti-biotics beyond what is absolutely necessary. The over-use of manufactured chemical anthelmintics. Monoculture which involves planting only one or two grass and clover species which can affect nutrient uptake. There are a number of things that you can do to help reduce the worm burden on your land. Rotate by first allowing cattle graze off the long grass, then follow with either sheep or horses and leave fallow for some time. Daily strip grazing using electric fencing to allow livestock to graze on clean pasture. Clean up pasture by taking stock off worn infested land and apply with lime. Harrow and sow heavily with a mix of mustard (natural soil steriliser), chives and oats and plough under in autumn. . Establish pasture to include a range of species to include bitter and aromatic herbs. Include anthelmintic species as part of sustainable design. Lowering the Incidence of Parasite Infestation Through Environmental Design. Occurs when there is an unacceptable build up of parasites in the horse’s intestines affecting the uptake of nutrients. Over grazing with one species only eg Too many horses in too small an area. Mono-grazing which involves the grazing of only one type animal species. Monoculture which involves only one or two grass and clover species. Never leaving the land fallow to rest. A lack of natural nutrient recyclers ie dung beetles (yet to be trialled and introduced commercially in NZ. The lack of natural vermifuges and vermicides ( range of herbs) available to browsing animals. Anthelmintics Are substances that are able to either kill or cause the expulsion of intestinal parasites. 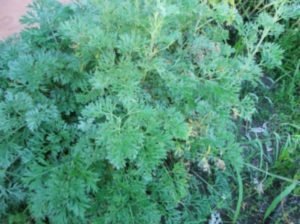 Some vermicide plants make interesting functional hedges.Wormwood can be planted as an attractively clipped silver leafed hedge. The hedge clippings can be dried and added along with black walnut, and garlic to cider vinegar. This mix can then be added to feed intermittently as a natural drench.Kill intestinal parasites. Bitter herbs found in the Three Thieves Blend, can be given to expel worms. Originally the Three Thieves Blend was an herbal concoction made up by three thieves during the Bubonic Plague which protected them from the ravages of the plague, enabling them to loot the homes of the unfortunate people who succumbed to the illness. This blend consists of no less than 5 bitter herbs and makes up the basis of a number of natural anthelmintics for livestock. There are steps that can be taken to reduce the incidence of parasite infestation thereby reducing the need for chemical anthelmintic treatment. This involves looking at shelter, hedgerows, strip grazing using electric fences, spelling pasture. Sterilizing infected soils using forerunner crops like mustard, harrowing, mixing livestock species. 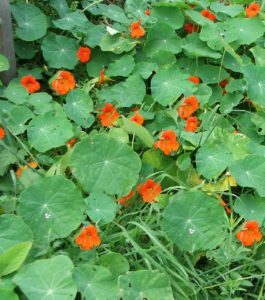 Shelter belts should include plants that act as vermifuges, ones you can prune to throw over the fence to your animals. Karo, the turpentine bush may be used. Pastures no longer have natural mustard, fennel, wild garlic, wild turnip etc. Adding these to the pasture mix will assist in managing worm burdens. Check herbal leys to be soon published on our News Letter. Add some of them to your pasture seed mix. We no longer have the age old tradition of hedge-rows. These make excellent semi-permanent visual barriers behind electric fences. 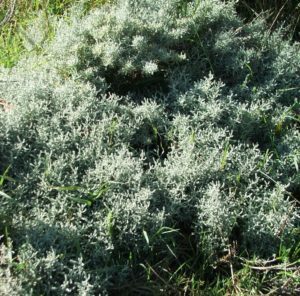 They rarely exceed 1.5 metres in height and may include some of the following vermifuges, rue, wormwood, and hyssop, elder, ash and broom. 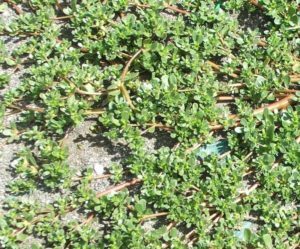 Snip the tops off these plants and feed to livestock. Take stock off worn infested pasture and apply with lime, plough and sow heavily with a mix of mustard and chives. Then re-sow into pasture adding herbs to the blend like chicory, garlic, ramsons, thyme ,calendula, red clover, dandelion, corn flower. Rotate your pasture with horses, followed by cattle and finally sheep, rest until the pasture re-grows. At one time it was recommended that 10% of your livestock should be goats to clean up the remainder of woody ‘weeds’. Anthelmintic hedges and trees: Trees and hedges make wonderful landscape features so it makes good sense to have them perform several functions. The New Zealand native Karo (Pittosporum crassifolium) which makes an excellent shelter hedge has been found to have anthelmintic properties. Pomegranate, a beautiful shrub with stunning red flowers and exquisite fruit, has anthelmintic alkaloids, pelletierine, in particular, causes the tapeworm to relax its grip on the wall of the intestine so that it can be expelled naturally. For those in the north, Papaya is a tropical tree with a yellow sweet fruit. 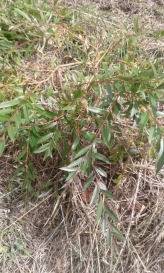 The leaves and seeds can be used as an anthelmintic. Also of interest is that the leaf of this tree is an excellent liver cleanser. Some old-school dairy farmers found that, when allowing cattle to forage on the pink flowering aloe that this reduced the need for anthelmintic drenches. Then re-sow pasture adding herbs like chicory, garlic, ramsons, thyme, calendula, red clover, dandelion, corn flower etc. Bitter herbs increase the flow of gastric juices and excite the nerves which regulate the peristaltic movement of the digestive tract assisting in expelling worms. Artichoke leaves are very bitter and leaves can be fed to livestock who love the wilted leaves. By increasing humus levels in your pasture you will increase earth worms and the microbiological population in the soil which will help ‘pull’ the parasite eggs below the surface. While these suggestions may help provide a more holistic approach to parasite control, it is recommended that you still keep administering the veterinary anthelmintics in conjunction with the program mentioned above.